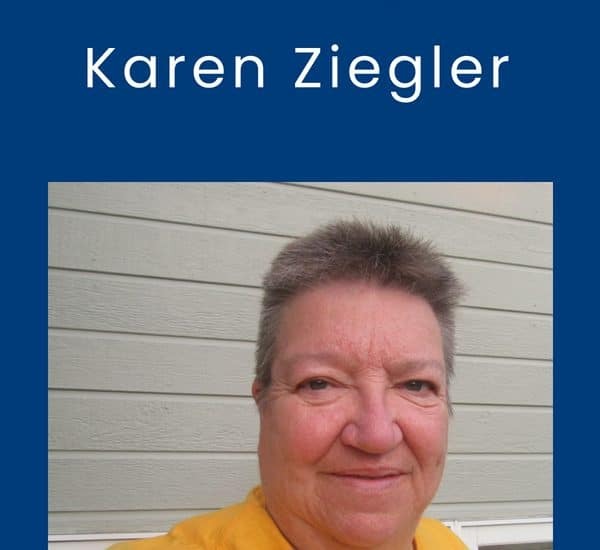 Read about Karen Ziegler, a devoted Scouter for 22 years. She volunteered with her son when he was young, and now, she’s helping with her Tiger grandson! 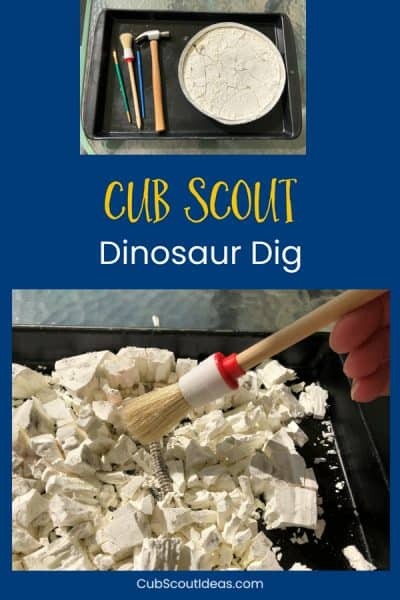 Make a dinosaur dig without Plaster of Paris! You only need cornstarch and water. Fun activity for Cub Scout Wolf adventure, Digging in the Past. 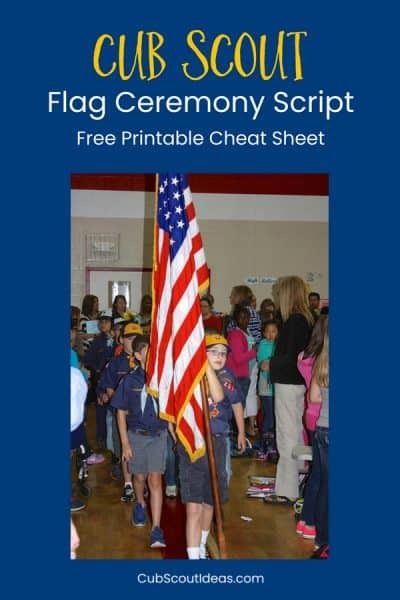 Learn how to conduct a Cub Scout flag ceremony. Free printable cheat sheet script included! This flag ceremony can be used at den and pack meetings. 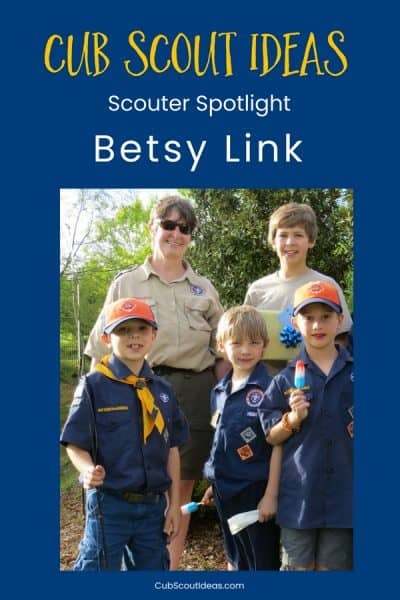 Spotlight on Cub Scout volunteer Betsy Link who has served Scouting in many ways. Welcome Scouts with a smile to start your event off right! Learn how to safely make s’mores on the campfire during your next campout. 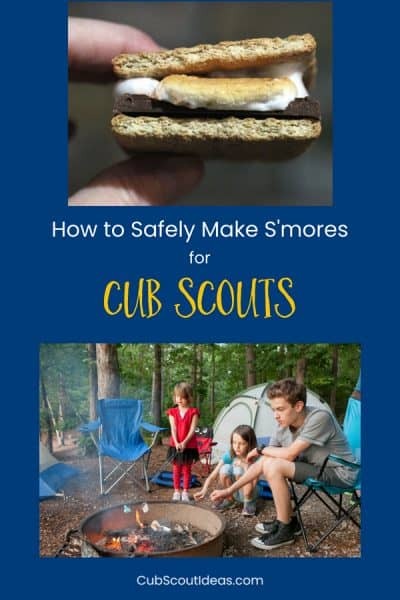 Keep your Cub Scouts safe around the fire as they make these easy classic treats. 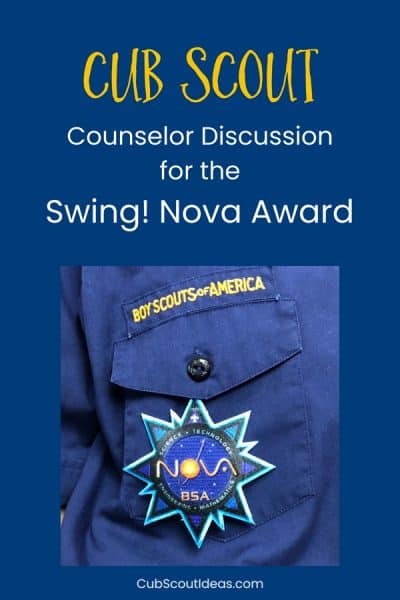 The Cub Scout Nova award Swing! requires a discussion with a counselor. Learn some questions that will get the Cub Scout talking. 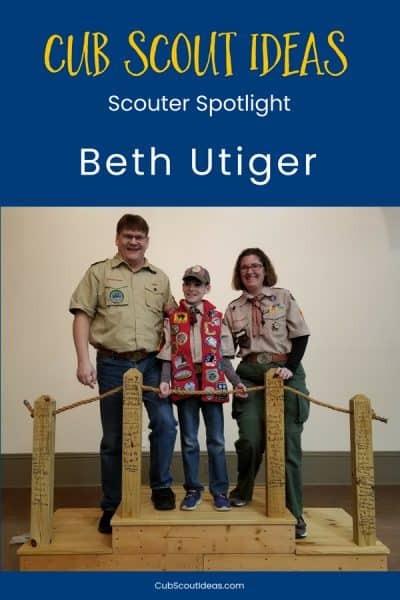 Spotlight on Cub Scout volunteer Beth Utiger! She’s a dedicated Scouter who’s held many positions. Learn about her pack’s unique Cub Scout recruiting event. 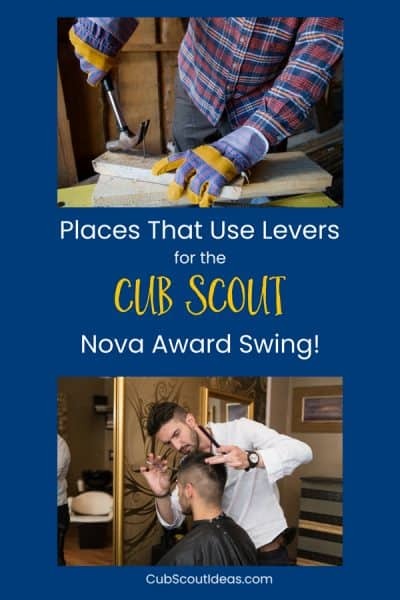 9 Places That Use Levers: Cub Scout Nova Award Swing! Cub Scouts need to visit a place that uses levers for the Nova Award Swing! Here are 9 suggestions plus helpful information to prepare for your visit.